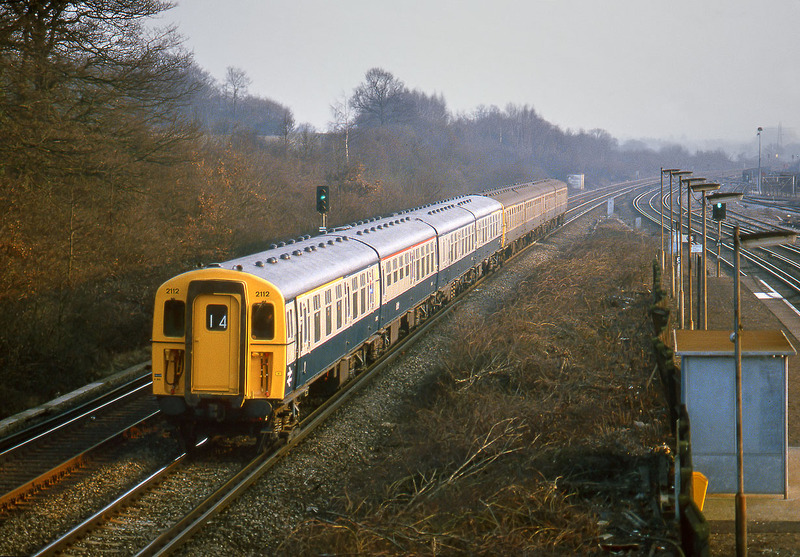 In the last weak rays of the setting sun, ex-works Class 422 4-BIG 2112 contrasts markedly with its unidentified work stained companion unit, as it heads towards the capital with the 15:59 Brighton to Victoria service on 15 March 1986. Although obviously the former Southern Region dealt with a large quantity of units and sets were always being overhauled and repainted, it would only be a matter of months before all further unit would emerge in the new Network SouthEast livery. This therefore is one of the last batch of blue and grey repaints.